If you ask people how they feel about the worsening traffic conditions in Metro Manila, be prepared to hear a barrage of colorful language ranging from the hilarious to the downright furious. That’s because Metro Manila traffic is the worst in the world. This is according to the 2015 Global Driver Satisfaction Index conducted by traffic and navigation app Waze. 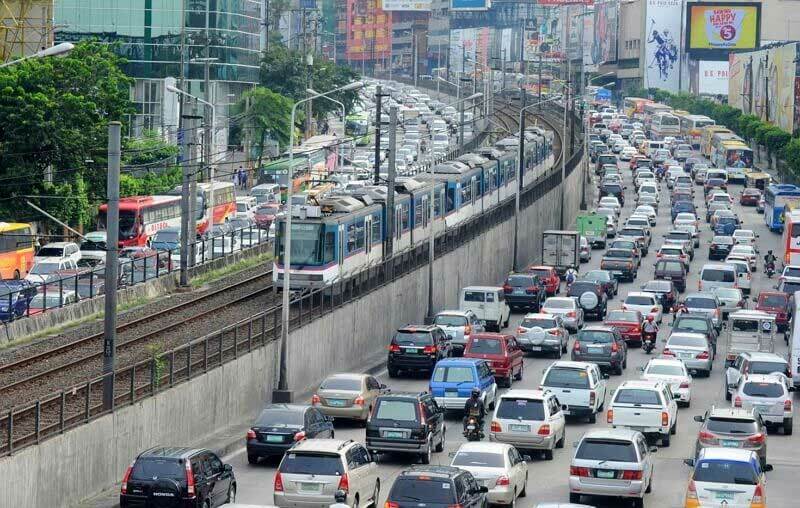 The study revealed that the average commute time in Metro Manila is 45.5 minutes, which is actually the longest commute time in the world. That’s not counting the commute time during heavy downpours, which will result in a much longer travel time. A normal 15-minute drive from Pasay to Makati can stretch up to two hours during heavy rains and rush hour. That’s two extra hours spent in unmoving traffic when you should be at home already, having dinner with your family, and getting some much needed rest. That’s an average of 1,000 hours of your life stuck in traffic — 700 hours more than people from other more developed countries spend on the road each year. Economic Planning Secretary Arsenio Balisacan cited the study conducted by the Japan International Cooperation Agency in 2012. The study found that the time lost by people stuck in traffic, and the additional cost of operating vehicles in traffic congested Metro Manila and surrounding areas, amounted to ₱2.4 Billion ($51 million) a day. Now, four years later, city officials estimate that Metro Manila loses at least ₱3 billion ($64 million) each day to traffic jams. Do take note that this is only a conservative estimate. Just how much money are you wasting while you traverse the congested roads of Metro Manila? We have crunched the numbers for you, but try not to wallow in sadness too much when you see how much money you don’t even realize you’re losing. Did you know that with every 15 minutes you leave your car idle, you’re already using up 0.1 to 0.6 liters of fuel? If fuel price is at ₱41 per liter, you’re already using up ₱24.60 worth of fuel without even moving from your spot. Multiply that with the thousands of hours you devote to traffic each year and you are spending thousands of pesos on wasted fuel. 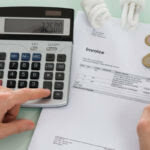 Luckily, there are ways for you to earn back even a bit of what you’ve lost. Apply for a BPI Petron credit card and you can get 3% gas rebate on participating Petron stations. Imagine waking up at 4 in the morning just so you can leave the house by 5, and then take the bus or train to work in the hopes that you can arrive before 8. Sometimes you get there on time, but oftentimes you’re late. Now imagine going through the same thing every single work day. The thought alone is enough to exhaust you. But this is the reality for millions of Filipinos. Stressful commutes and horrendous traffic conditions are a given. By the time we reach the office, our energies have fizzled out and we just want to go back to bed and regain the energies lost. The stress that stems from the awful traffic affects our productivity at work. We miss important meetings. We are too tired, therefore, easily distracted. If not easily distracted, we are irritable and unmotivated. This kind of performance does not get promotions, citations, and salary increases. You miss out on exciting career opportunities that can increase your net worth and job prospects. According to an article written by David Weaver, president of The Survey Group, a regular promotion increases your salary by 7-12%. If you’re earning ₱25,000 a month, that will be an increase of ₱3,000. That’s ₱36,000 yearly that you were not able to get because of the effect of Metro Manila traffic on your work productivity. Experiencing stress each morning on the way to work, and then experiencing the same thing again on the way home can pose some serious health issues over time. Aside from the increased irritability and fatigue, long travel can also increase your risk for back pains, leg pains, and even anxiety and depression. As a result, you’ll find yourself visiting the doctor more often, which will cost you about ₱500 per visit. Unless of course you are covered by your health insurance. You may not feel the negative effects that much when you’re young. However, this will affect middle-aged to senior men and women. The worsening traffic condition will add unnecessary stress and anxiety to your life and pose more health risks than before. Studies have also shown that high traffic density has a significant correlation to more road accidents, especially on major roads. A small hit on your bumper can cost you as much as ₱20,000, while a more serious damage can rack up a few hundred thousand pesos. If you have insurance, that’s one less thing to worry about. But not everyone is covered by auto or hospitalization insurance. When accidents happen, you have no choice but to pay for the repairs or hospital fees with money straight from your pockets. 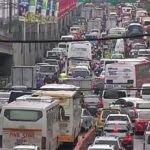 Billions of pesos are lost because of the horrendous traffic in Metro Manila. If this problem will not be addressed, this figure could still balloon to ₱6 billion per day by the year 2030. The traffic problem will not disappear overnight. That’s why we need to contribute individually to reduce the number of private vehicles on the road. Not only will it help ease traffic density, we can also reduce our expenses on fuel and toll fees. You can ask your bosses if you can have a flexible time schedule. 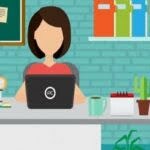 This way, you can avoid rush hour and come to work fresh and energized. You can also carpool with friends or colleagues who live in the same area or take the same route to work. If you want to lose a few extra pounds while you’re at it, you can even ride your bike to work. And if you really must drive to work, make it a fuel-efficient car so that you can stretch your money to save fuel, better yet, get a specific credit card for gas that offers discounts and benefits for the everyday driver. 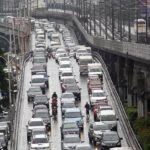 Now if everyone out there will just do the same thing, the traffic condition in Metro Manila will improve a great deal.